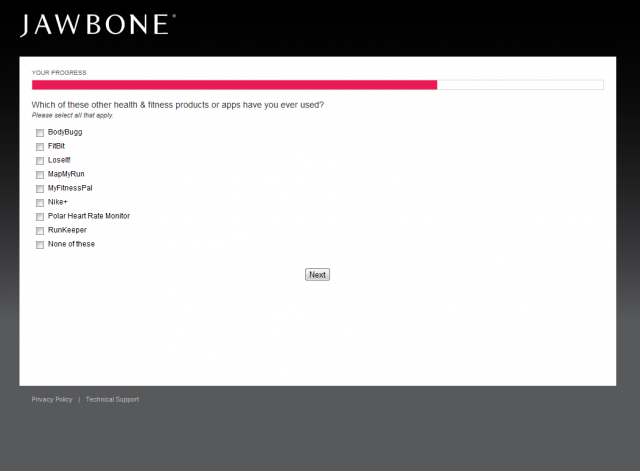 Print : What’s Up With Jawbone UP? A Peek Inside the UP Testers Program. Yesterday, a limited supply of Nike+ FuelBands became available for order again, after quickly selling out when they first launched last month. 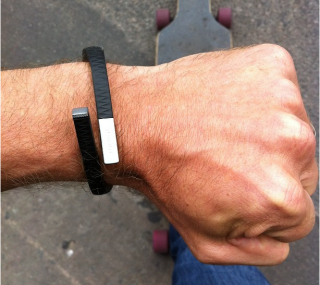 If the early buzz over a rubberized activity-tracking wristband that syncs with your smartphone gives you deja vu, it might be because you’ve seen this all before — with something called the Jawbone UP. Oh, right. The UP! So, what’s going on with the Jawbone UP? Unfortunately, what we don’t know is still more than what we do know. Jawbone, which is known for its slick audio products in addition to the UP, paused production and agreed to issue no-questions-asked refunds for faulty UP bands back on Dec. 9. The company has declined to say anything specific about when it might resume production of the device, or if consumers will see a hardware update. 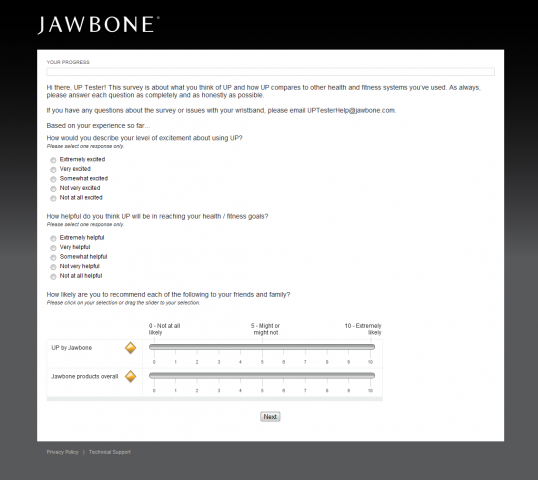 A spokeswoman for Jawbone has said that refunds are still in progress, and reconfirmed that the company still doesn’t have anything to share in terms of timing. Jawbone did recently update the UP iPhone app, as it said it would; based on the update description, which includes vague “bug fixes,” the app update seems incremental. 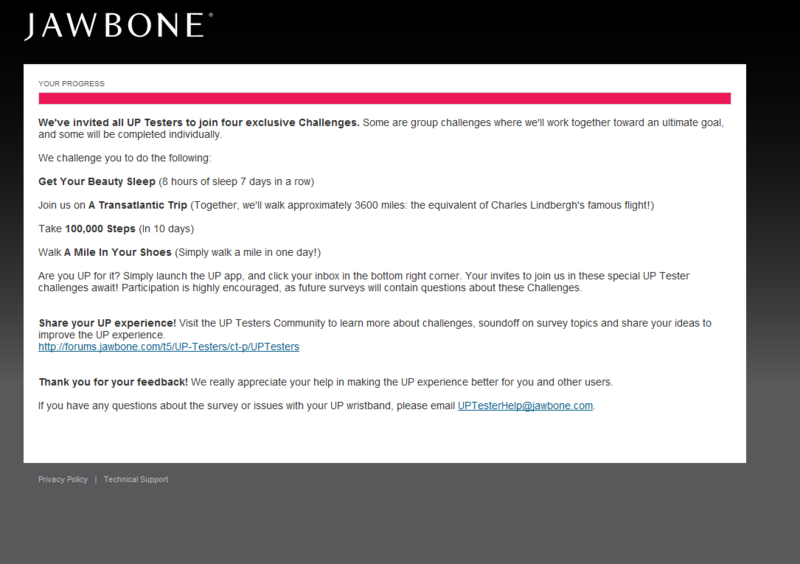 We also know that Jawbone’s UP testers program is ongoing. As part of the program, volunteers are sent UP bands to test and offer feedback on. They’re also issued challenges, and asked to weigh the UP against competing devices. Participants are required to respond to regular surveys and had to sign a binding confidentiality agreement, meaning that, outside of designated UP tester channels, they’re not supposed to blog, tweet or talk to the media about the product. The program kicked off in early January and was invite-only (it’s now closed to new participants). Readers, are you still using your UP wristbands, or have you returned them for a refund? Feel free to leave your comments below. Return to: What’s Up With Jawbone UP? A Peek Inside the UP Testers Program.